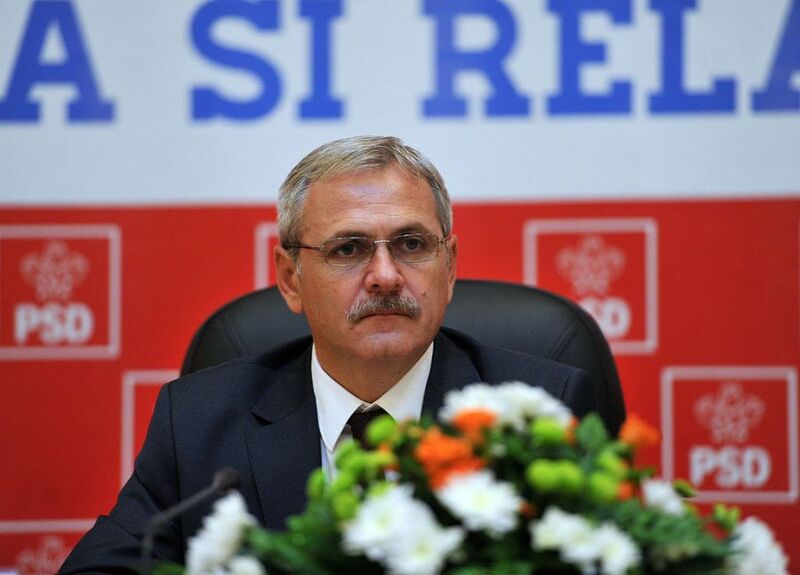 The news that Romanian social democrat’s leader Liviu Dragnea is accused in a third case have strengthened the well-known rhetoric against the representatives of “the red plague” in Romania – the Social Democratic Party, called by the indignant street in short “thieves”. The standard story is that Dragnea’s people represent the local political and business elites, known as “barons”, while the anti-corruption prosecution actions are led by another mighty lobby – the secret services. Social democrats themselves usually use rhetoric against the foreign capital in the country and declare themselves as patriots. However the story about the fight between secret services and barons, between people and politicians in Romania starts to become boring, because it is being told without change for years. It has weak points at a closer look. But in order to see through the gaps, one has to understand better the context, in which new prosecution charges are brought against Dragnea. 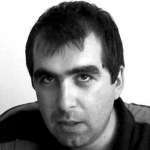 DNA’s accusations start as an investigation by the European anti-fraud service OLAF. Dragnea is accused of establishment of an organized criminal group, for abuse of public service and preparation of false documents. OLAF wants the recuperation of 21 million euro, which have been stolen through the firm “Tel Drum”, that is alleged to be affiliated with Dragnea. Romanian state will have to recover the missing sum of money. It is more difficult to make an analysis with regard to the services, which are to remain secret, even when their activities are discussed by the whole public. But it is obvious that they don’t stand only at one of the sides in the fight between DNA and Dragnea or social democrats. It is sufficient to see that while Dragnea was in DNA office so that he could receive the accusations, he was defended by the president of the parliamentary commission for control of intelligence Claidiu Manda. The idea that social democrats are patriots, thinking about the common man, in its turn is shaken seriously by their activities. This month Mihai Tudose’s government introduced changes to the Fiscal Code, which stipulate a transfer of the great part of the burden for payment of social contribution from employers to employees. The measure will only increase the difference between the share of labour and capital in the GDP formation and puts Romanian workers in an even more unprivileged position. It will enter in force as of 1 January 2018 in a country, where there is a strong opinion that state has ceded its economic interests towards foreign capital in spheres such as banks, natural resources, energy distributors and even agriculture. Even if some of the employers’ organizations have expressed their skepticism towards the fiscal changes of Tudose’s cabinet, these measures are beneficial to the owners of capital, as they liberate them from obligations for workers. Measures were voted in a moment when it became clear the Romania’s GDP has grown by 8,8% in the third quarter of 2017 in comparison to the same period of 2016. It is expected that this year growth will reach 5,6%. Apparently, this success is due to strong exports, which launches Romanian economy ahead in the last years. According to data from 2015 the country had more than 22 000 firms exporters. The first 500 exporters have been responsible for 74% of the exports. Among them the share of companies with Romanian capital has been between 10% and 12%. Proportions are probably valid for 2017 too and show that in fact Romanian economy is pushed forward by foreign capital. Foreign investors would be stimulated additionally by social democrats’ reforms. While foreign capital reports turnover larger than the national capital, its profit and paid taxes are three times lower than the national counterpart. Fiscal changes were criticized from the left, as labour unions announced plans for protests. What took thousands of right-wing Romanians on the street was government’s intentions for changes in legislation that facilitates the fight against corruption. The project for change of the Justice Law is at this moment in parliament, where it is going to be discussed and voted. It stipulates that the Judicial Inspection is going to be taken away from the Supreme Council of Magistrates and to be placed under the control of Ministry of Justice. Another provision is that the president (at this moment this is the right-wing politician Klaus Iohannis who is supported by protesters) is going to lose his role in the appointment of chief prosecutors in the specialized and the general prosecution. Changes which are planned increase the political element in the control over justice. These measures cause fears that Romanian fight against corruption – one of the few achievements of the country during the transition will be put under control by the political class. One is unable to understand the contradiction between social democrats and protesters if he doesn’t return to the most important political events of the last years – Iohannis’ election as a president in 2014, the protests after the fire in the club “Colectiv” in 2015, that lead to the fall of Victor Ponta’s government, and the protests of February 2017. In the three cases there was a people’s mobilization going on, which was directed against social democrats. The stakes of these mobilizations were not only connecting with the taking the Social Democratic Party out of power, but also with a clash between the political system, represented by the strongest party and technocracy – rule in the benefit of capital, proprietors of Romanian economy and Romanian middle class. The tool for this fight has been the activity of the anti-corruption prosecution for years. As Romanian analyst Ciprian Șiulea wrote for Baricada in Decemberr 2016 there is an ongoing change of the political system in the country – Romania is shifting from the old “nominal” democracy, which has a lot of weaknesses, but in a certain form allows for the participation of various social groups in power, towards the increasing empowering of the middle class, which uses the discourse of honesty and anticorruption together with the anti-corruption prosecution and secret services in order to take the low strata of society out of political fight. Between November 2015 and January 2017 the country was ruled by the technocratic government of Dacian Cioloș, which was made up of representatives of business and NGOs. At the parliamentary vote in December 2016 Cioloș’s intentions to continue to rule with the support of liberals and the party of “the civil society” Union “Save Romania” were thwarted. Social democrats’ victory temporarily stopped the plans for complete elimination of political system’s power, because according to some voices “parties have started to hinder the real owners of the country” – who control its economy. At that particular moment the Social Democratic party was a representative of the political system’s interests against governance’s depolitisation. However, social democrats are not much different from all the other parties. Dragnea’s men and women have pledged allegiance to the middle class too, they started talking against people, living on social assistance, and against Romanians’ humiliation to depend on state administration. At the end of the day social democrats started serving technocracy too. What happens with Dragnea and the dinosaurs of transition now is a fight of the unelected institutions in Romania, that have strengthened their power in the last years, against the very possibility of the political system and parties to influence them. There were signs that earlier this year there is a redefinition of Romanian fight against corruption going on. The blow against Dragnea shows that it continues to be strong. After Liviu Dragnea was accused for crimes, connected with the activity of the company “Tel Drum”, which has won procurements for road construction and has used European funds, the party lead said he doesn’t have connections with this firm. There are discussions going on in media and witnesses speak about the relations between the social democratic leader and the implicated firm. The important question however continues to be connected with the big picture – with the context, in which the attacks against Dragnea take place. Social democrats changed the Fiscal Code and try to do that with regard to justice too. That is how they provoked the resistance of various societal groups. The right-wing Romanians, who support the fight against corruption, are most unhappy. The technocrat Dacian Cioloș participated in the recent protests – not as a party leader, but as the leader of the Platform 100, which tries to outline a vision for modern Romania. “I have decided that it is important that I am at the protests too, because certain limits were broken. Almost a year has passed by governance in a period with great potential for economic growth. I think we have lost a lot of time this year, because of unpredictability and chaos of decisions. The showed attitude towards justice not only serves to weaken the faith of those who want to invest in Romania, and doesn’t convince them that their investment has sense”, said Cioloș during a protest in November 2017. Political fortunetellers have prophesized the end of Liviu Dragnea for quite a long time, but he doesn’t intend to surrender and resign from his position in the party or as a president of the lower chamber of the parliament. The stakes are much larger that his person – whether all the dinosaurs from the transition will be sent behind bars or ousted, or the party system of the country will preserve at least symbolic independence with regard to the technocratic agenda.